Good Morning! I hope someone can help me figure out where the free test is located in the nutanix school. Where is located or how do you access the free exam? I am not seeing it as an option being called out in the classes. Am I missing something super obvious? 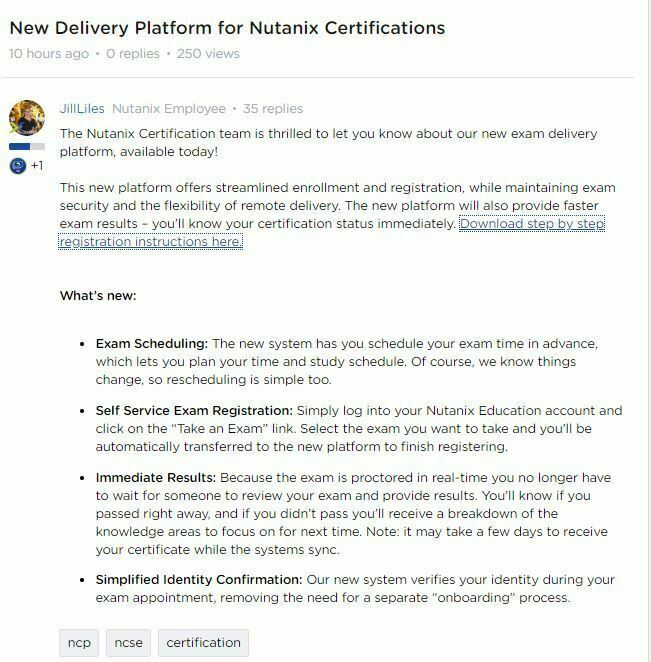 Firstly, you send E-mail to (education@nutanix.com), for your related exam. 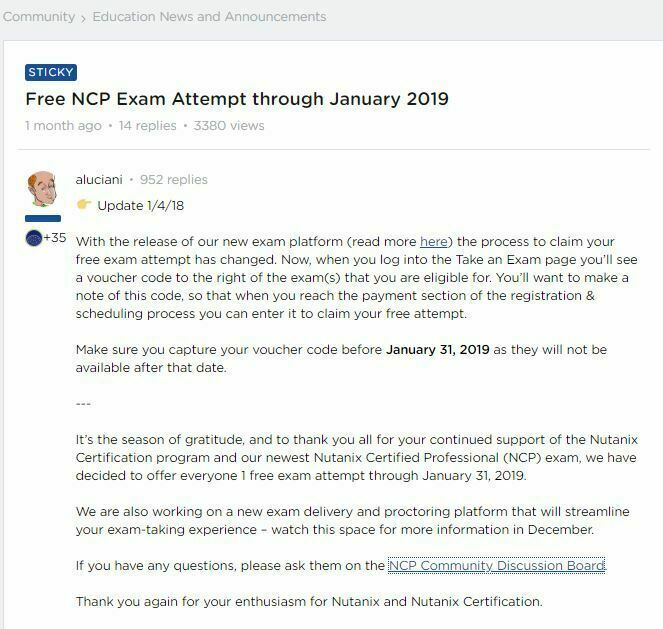 After 24-72 hours, the education team send your NCP 5.5 exam Links and instructions. Then Download the Proctortrack software & create a account. Make sure your Web cam & Mic conditions. Don't use any Screen Capture Software, Remote Desktop, Mobile Phones, Camera, Books, Other persons, Skype Messenger etc... After registering for the exam and providing valid identification (Valid ID Proof), you will receive information on how to take the exam from your location using a web browser. Because the exam is remote proctored, you will be provided with a locked down, monitored, secure exam experience. After your account is created, you’ll need to establish your identity with an ID check and facial scan. You’ll also accept the exam guidelines at this point. Review and completion of the onboarding process usually happens within 48 hours. This is a great time for a final review of the exam blueprint guide. complete the NCP 5.5 exam You will receive the results of your exam within 24 hours. You can log into your account and download your certificate at that point. New Exam platform have changed. Please refer the screenshot and link. I have a question; if you obtain your exam voucher before the 31st January deadline, is it still valid into Febraury or does it also need to be taken by end of Jan?